Def Jam RecordingsFollowing the disappointing album sales for Mariah Carey‘s Me. 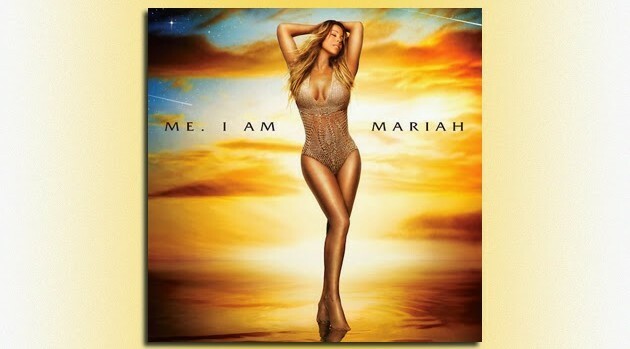 I Am Mariah…the Elusive Chanteuse, the singer’s manager, Jermaine Dupri, has bore the brunt of growing criticism from Mi Mi’s die hard fans. Now, the producer has penned an open letter to address the constant complaints. “LETTER TO THE LAMBS: WHAT MY TIMELINE LOOKS LIKE EVERY MORNING WHEN I WAKE UP,” JD began in a Twitter post. He posted a screenshot of fans voicing their concerns about Mariah promoting her new flavored beverage instead of focusing on her latest album. “Okay enough is enough!! I can’t continue to let you think, what you see or don’t see is a result of me not knowing what I’m doing, this is bigger than me and in the music business things don’t go as fast as you would always like them to, if you know my history, you know I want to go down as one of the greatest produce[r]s of all times,” he wrote. As previously reported, Carey’s album entered the Billboard 200 chart at #3, with first-week sales of 58,000 copies. That’s the lowest first-week sales for a non-holiday album by Mariah since SoundScan was instituted in 1991.